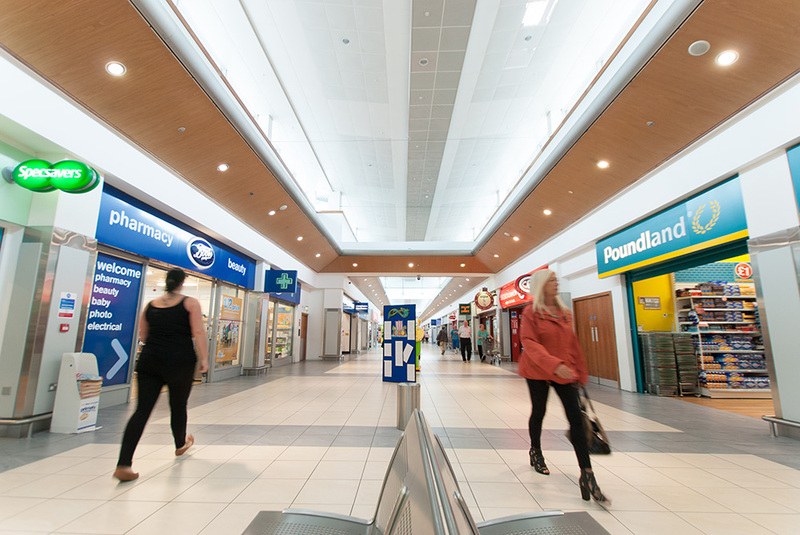 Following a £10 million pound extension and refurbishment programme, the shopping centre has 165,000 sq ft GLA with anchor tenants of Dunnes Stores, Peacocks, New Look and Iceland. A range of units are available for immediate lease. Park Centre is situated approximately two miles west of Belfast City Centre, located just at the start of the M1 motorway off the Broadway roundabout. Park Centre is estimated to have a catchment population within a 15 minute drive time approximately 498,352 persons and 793,236 persons within a 30 minute drive time. Park Centre is regarded as one of Northern Ireland’s most successful and exciting shopping destinations. The scheme offers 161,458 sq.ft. (15,000 sq.m.) of gross selling space and anchored by 33,910 sq.ft. Dunnes and 7,411 sq.ft. Iceland store. Other key retailers within the scheme include: Peacocks, New Look, Boots, Superdrug, Poundland and JD Sports. Free surface car parking provided for 600 cars.